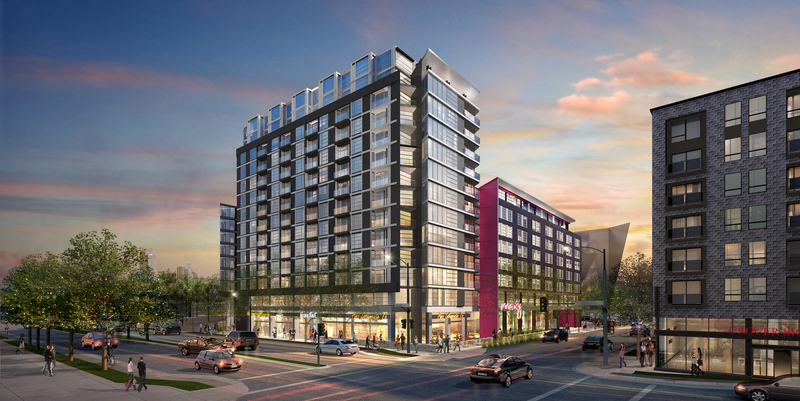 Construction has begun on the $100 million Ironclad mixed-use development in downtown Minneapolis. On Monday, a groundbreaking ceremony happened at the site, located on the corner of Chicago and Washington Avenues a couple blocks from U.S. Bank Stadium. Once complete, the Ironclad will include a 14-story, 172-unit apartment building and an eight-story, 139-room Moxy hotel as well as retail space. Graves Hospitality Corp. is developing the project and will operate the hotel. Kraus-Anderson Construction Co. is constructing the complex. The Ironclad is owned by 811 Washington LLC, which is controlled by the Kharbanda family, who also owns the nearby 511 Building and other downtown properties. Construction is expected to be complete in the spring of 2019.